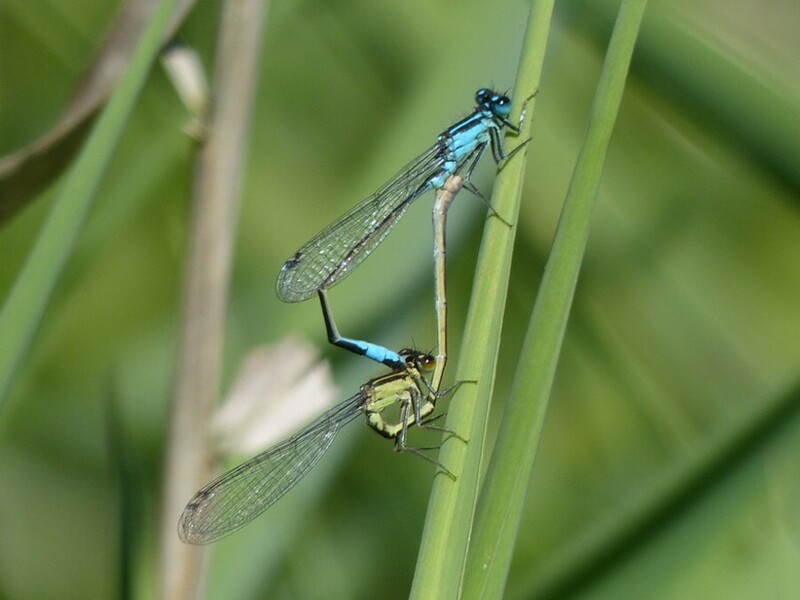 A pair of Blue-tailed Damselflies on No.1 bed today. 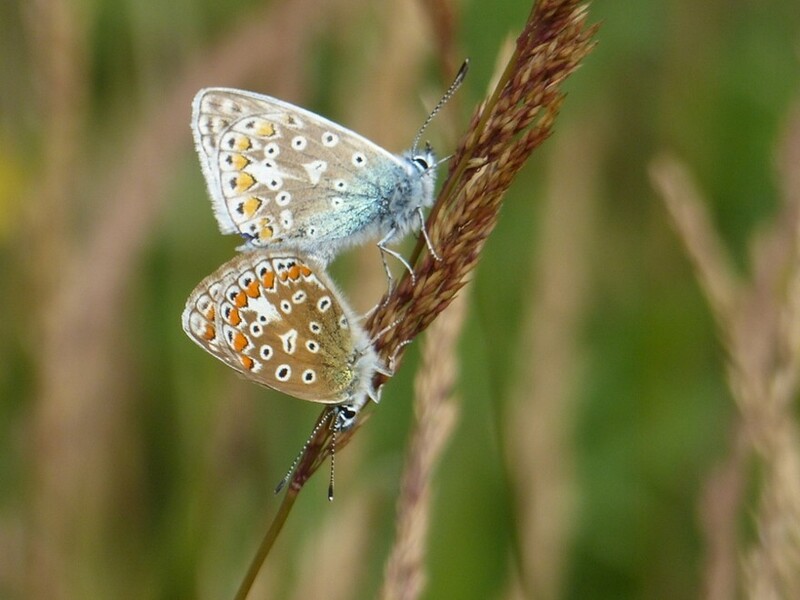 Photo of a pair Common Blue Butterflies spotted on No.1 bed this morning. 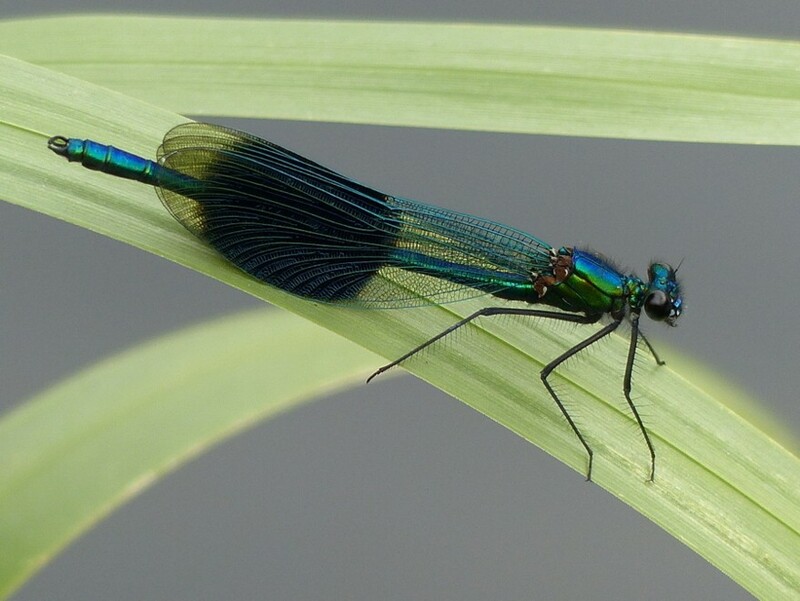 Photo of a male Banded Demoiselle spotted at the Weir this afternoon. A minimum of 13 Brown Hawkers were counted along the south bank of No.3 bed and the path leading to the Weir this afternoon. 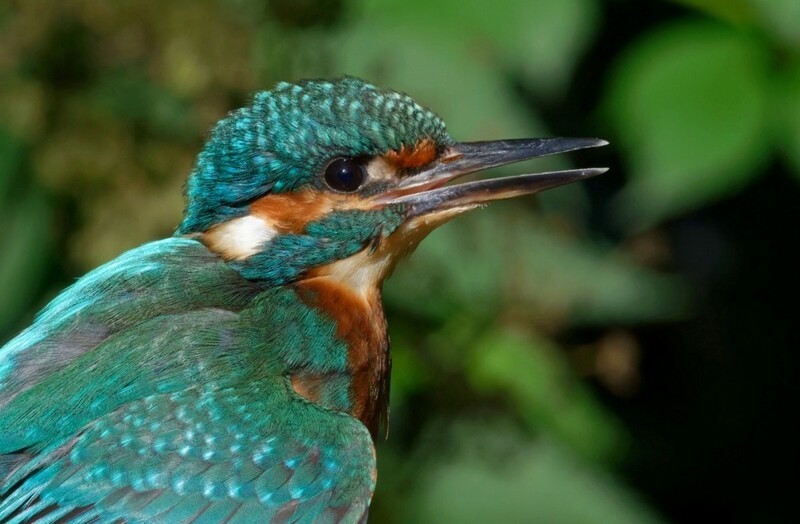 A Migrant Hawker was spotted along the path to the Weir where a Banded Demoiselle was present. Both Common Blue and Red-eyed Damselflies were also active in the sunshine. 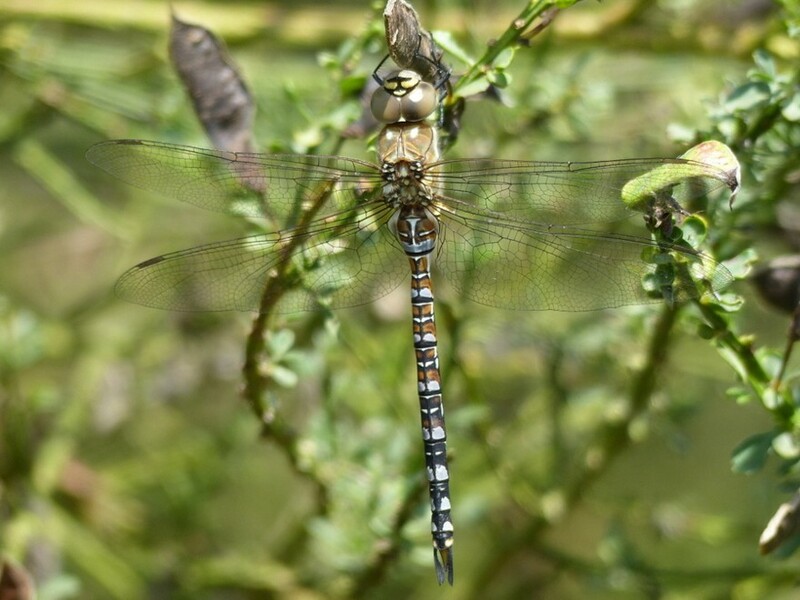 Photo of a Migrant Hawker. 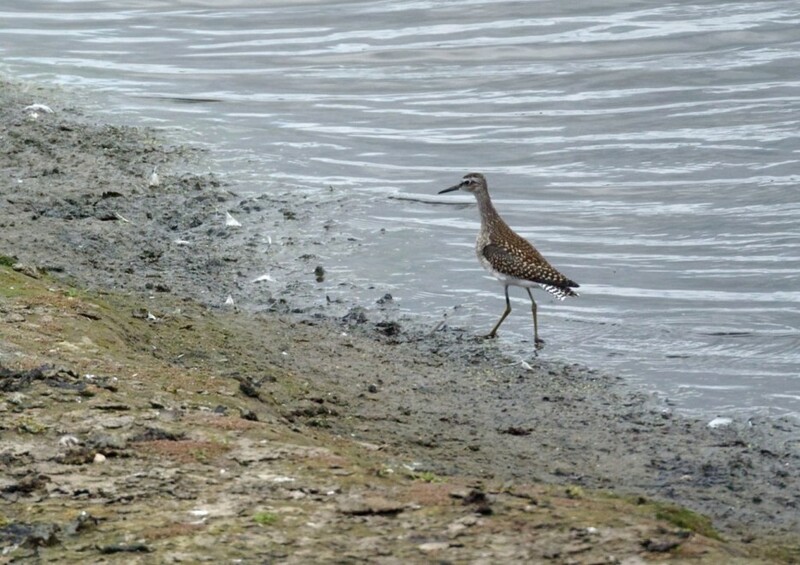 After yesterday’s flurry of wader passage, on No.3 bed, I made an early start this morning, arriving at 5.30 am, hoping to re-find the Wood Sandpiper. Didn’t manage to do that but still had a rewarding few hours. Crossing the Footbridge, a family party of three Kingfishers skimmed under the bridge and away round the bend of the river. Soon after settling into the Morgan Hide a Snipe and a juvenile Little Ringed Plover dropped onto the scrape. where 103 Coot, 6 Shovelers, 25 Lapwings, 38 Gadwall and 6 Teal were roosting. An adult Water Rail then showed briefly before a Little Egret arrived, tried to settle but was eventually discouraged from doing so by the throng of nearly 50 Lesser Black-backed Gulls, from the nearby breeding colony, which have recently taken up residence on the bed. 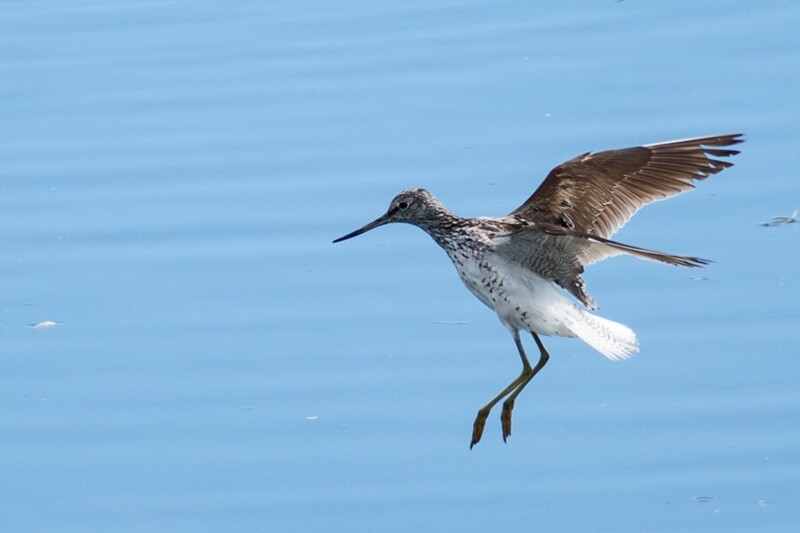 The link is to a video clip showing some of the activity from the Morgan Hide over the past 24 hours, including: Black-tailed Godwits, Common Sandpiper, Wood Sandpiper, Shovelers, Snipe, Little Ringed Plover and Goldfinch. An evening visit to change the lock. In less than ideal conditions (slightly windy) three Purple Hairstreaks were on the south bank of No.3 bed between the entrance and the viewing screen. Gadwall numbers were down on last week at 469 and Coot totalled 136. A Little Egret and 6 Black-tailed Godwits dropped in. 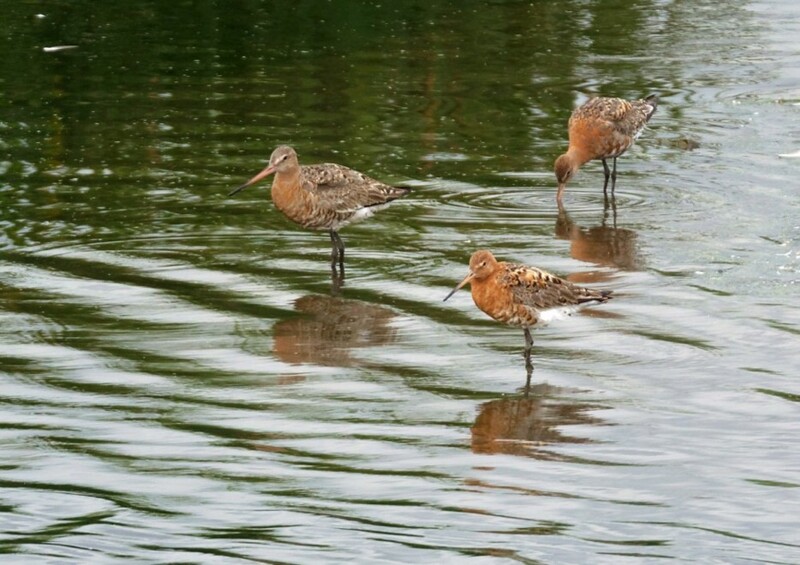 Photo of the Black-tailed Godwits from this morning. 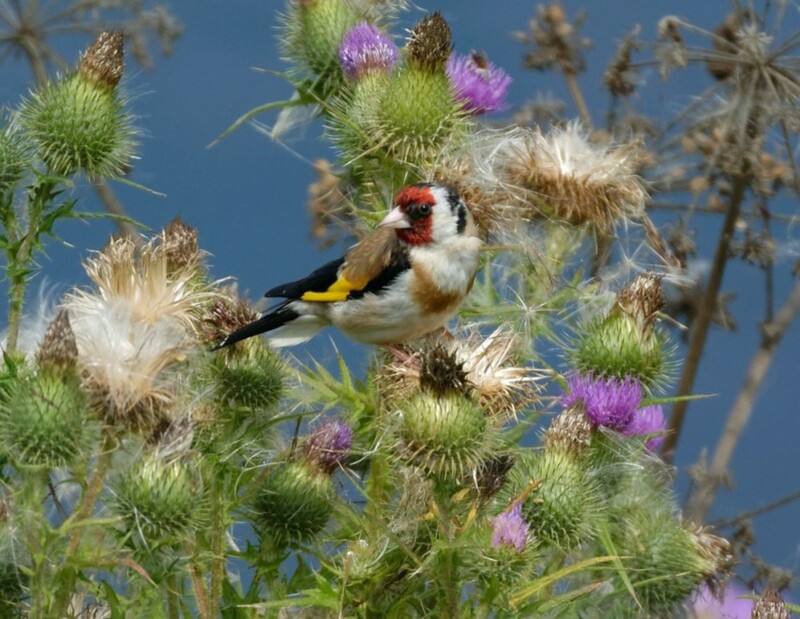 Photo of a Goldfinch from this morning. 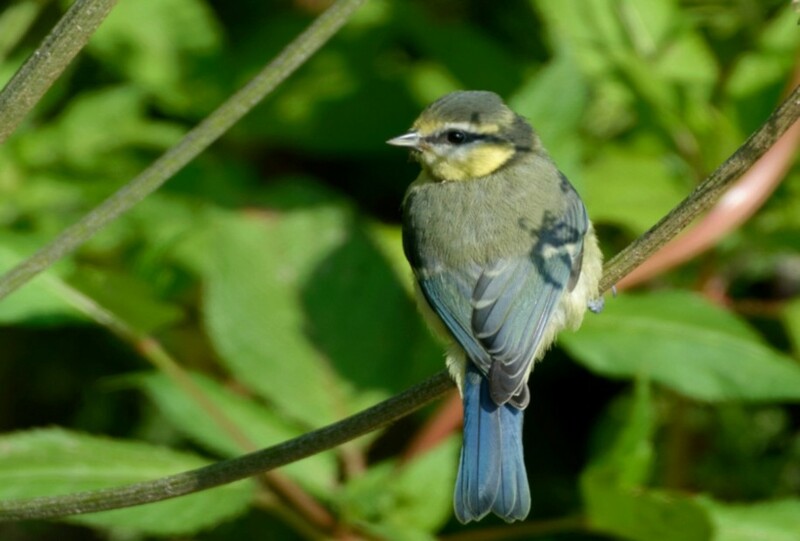 It’s the time of year when breeding is coming to an end and return passage isn’t yet in full swing. On No.3 bed hree young Black-necked Grebes were still being fed, while scores of young Tufted Ducks were scattered across the lagoon. All bar a handful of the young Black-headed Gulls have now left, so the soundtrack to the morning came from the Lapwing flock in front of the Morgan Hide, which peaked at about 220. Four Black-tailed Godwits and a single Little Ringed Plover were the only signs of wader movement, though a gathering of 200 Swifts were feeding voraciously before moving south. 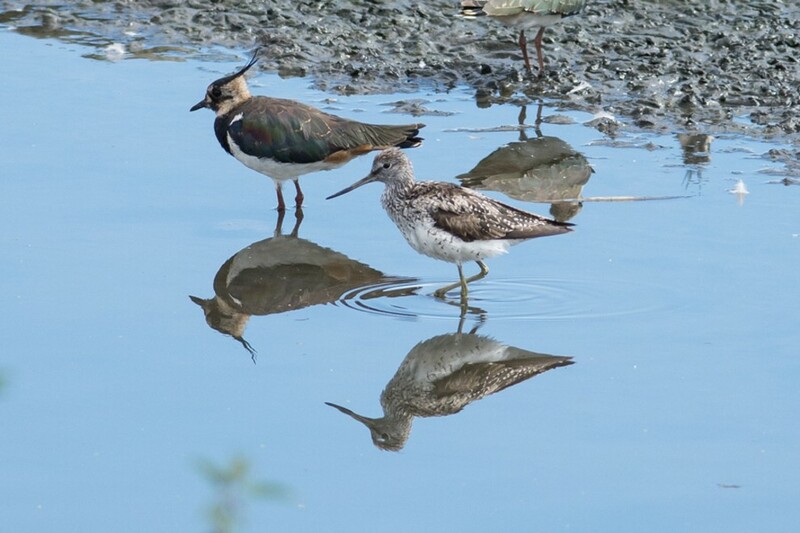 Water Rail and Kingfisher were other nice sightings, as was a Hummingbird Hawk Moth on the south bank of the bed, seen by Douglas Buchanan. An evening visit proved extremely productive. A search of the oak trees along the canal track resulted in a total of 6 Purple Hairstreaks and a further one was on the south bank of No.3 bed. A quick survey of Gadwall on No.3 bed found a minimum of 578 whilst Coot totalled 122! A 5.30 am, pre-breakfast, visit to No.3 bed proved worthwhile, as ever. 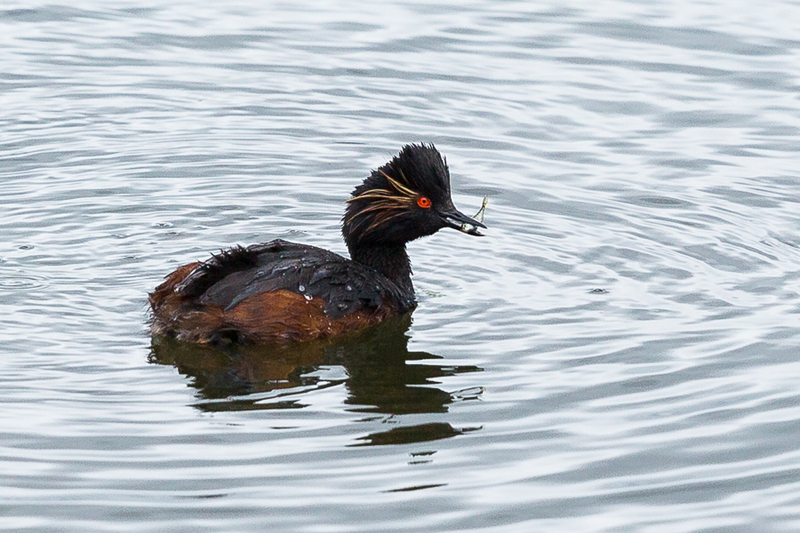 Four broods of Gadwall were out on the water, while two adult Black-necked Grebes were feeding young. As soon as the automatic tape of Swift calls started to play, a dozen came swirling round the Morgan Hide - hopefully scouting out the nest boxes for next year. 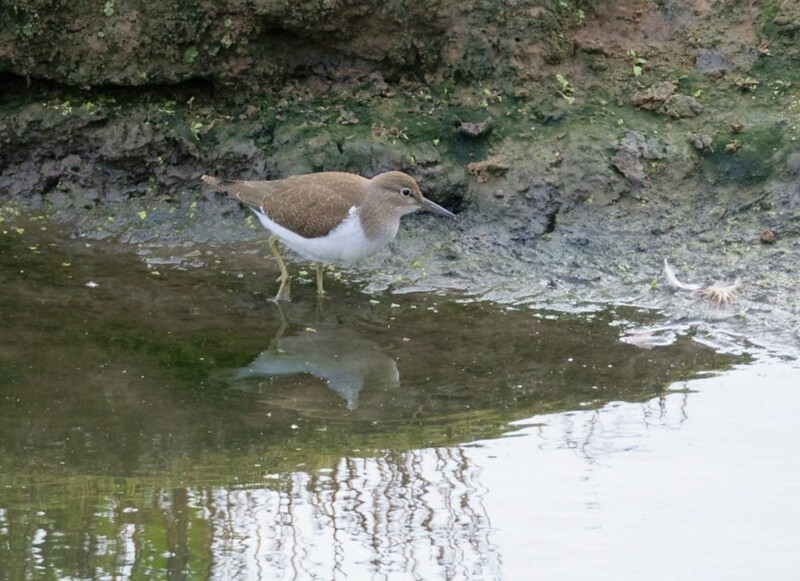 A single Common Sandpiper then flew onto the scrape, followed by an adult Mediterranean Gull which landed briefly on one of the gull nesting islands. Three Common Terns then flew east and Water Rail and Kingfisher showed briefly in front of the hide……then back home in time for breakfast! Return passage continues to gather pace on No.3 bed. After the 6 Little Egrets, 7 Common Sandpipers, Dunlin, Common Terns and Black-tailed Godwits which stopped over on during the week, this morning managed to deliver a nice surprise for one of our ringing team. After a quiet start at 6.30 am, post-breakfast drizzle then brought down 3 Common Terns and 1 Common Sandpiper. Swift numbers began to increment over the morning, with c.700 feeding up before moving south. As usual, when there are plenty of aerial feeders as potential prey, an elegant Hobby turned up, skimming past the Morgan Hide window. Of the resident birds, 2 Kingfishers, a Water Rail, a forlorn drake Ruddy Duck and 3 adult Black-necked Grebes feeding 3 young were the pick of the bunch. 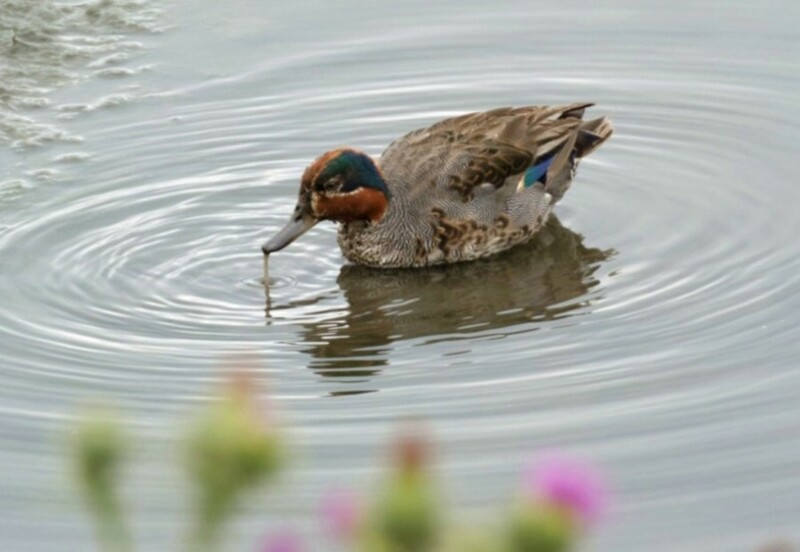 The real buzz, though, came when one of our ringers, Margaret Rawlins, heard a Spotted Crake persistently giving its rhythmic “whiplash” call from just west of the Rotary Hide. It wasn’t heard or seen subsequently but if relocated, we’ll let people know. The link is to a video of some bits and pieces from the last couple of weeks. 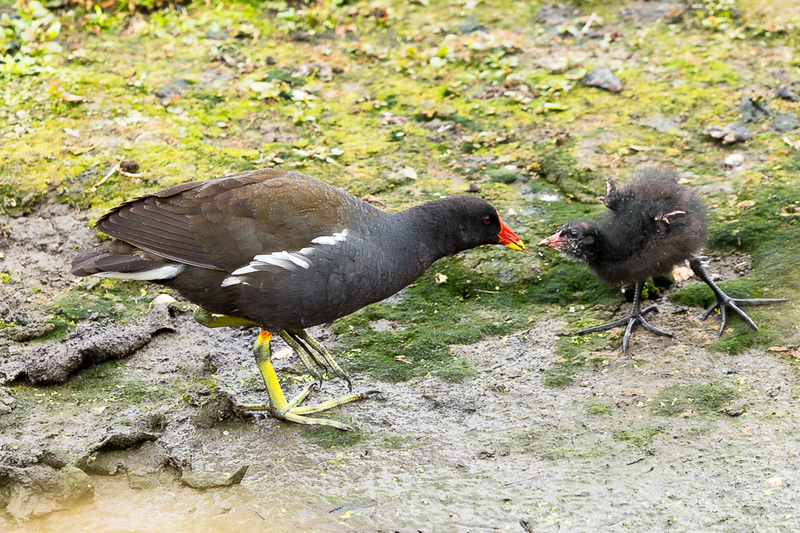 You need a strong stomach to watch the opening sequence as a Moorhen decides to do away with one of the chicks from an adjacent brood. 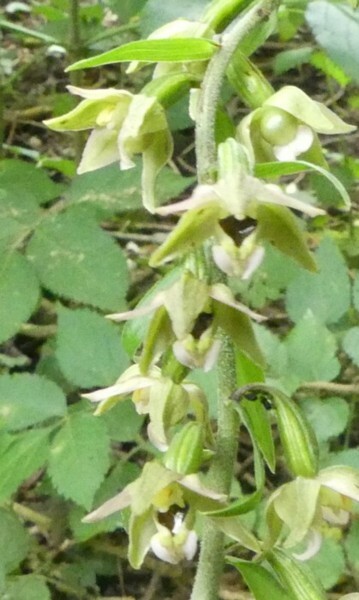 Broad-leaved Helleborine (Epipactis helleborine) Three plants (maybe more smaller examples) hiding under the shade of the trees to the left of the entrance to the Frank Linley Hide. 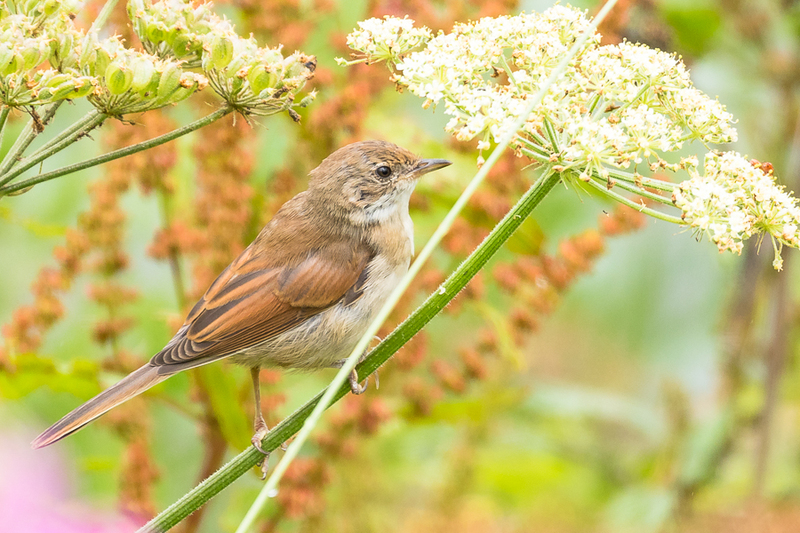 A series of visits since Sunday 9th July has produced some excellent totals of birds and butterflies. On the evening of the 10th there were 380 Gadwall on No.3 bed and with those on the Loop of No.4 bed a minimum of 400 were present. 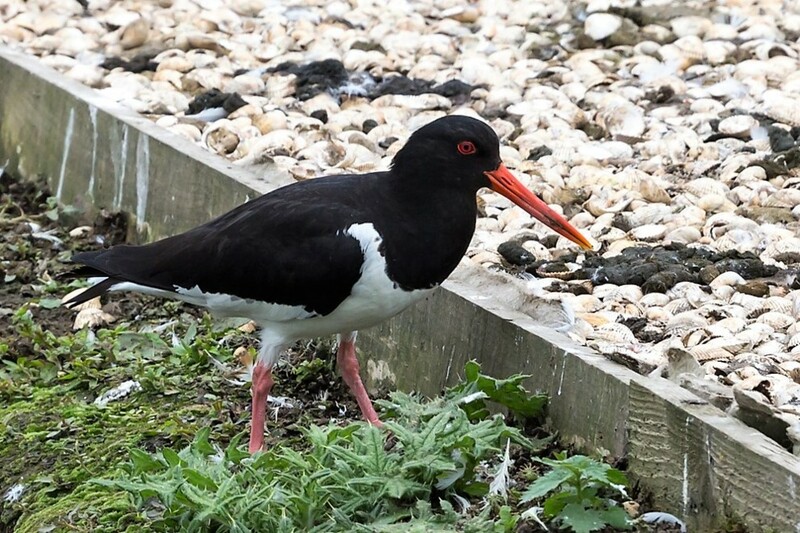 On 12th July Coot totalled 139 plus 17 juveniles with well over a hundred on No.3 bed where the post-breeding Lapwing flock comprised 82 birds, mostly in front of the John Morgan Hide. Butterfly totals for the whole reserve included an impressive 62 Red Admirals, the highest since I began recording fifteen years ago! Other counts were 93 Gatekeeper, 76 Meadow Brown, 38 Comma, 19 Small Skipper, 17 Small Tortoiseshell, 8 Large White, 4 Speckled Wood, 2 Large Skipper, a Holly Blue and a Small Copper. Whites totalled about a hundred and seemed to be fairly evenly split between Small and Green-veined. After last year’s very poor year it seems as if our butterflies are faring much better in 2017 and hopefully the weather will continue to be favourable. Three Purple Hairstreaks were found by Les Jones on the evening of 5 July but as yet there have been no reports of Ringlet. At least five Banded Demoiselles were present along the north bank of the Mersey at Woolston Weir this morning. 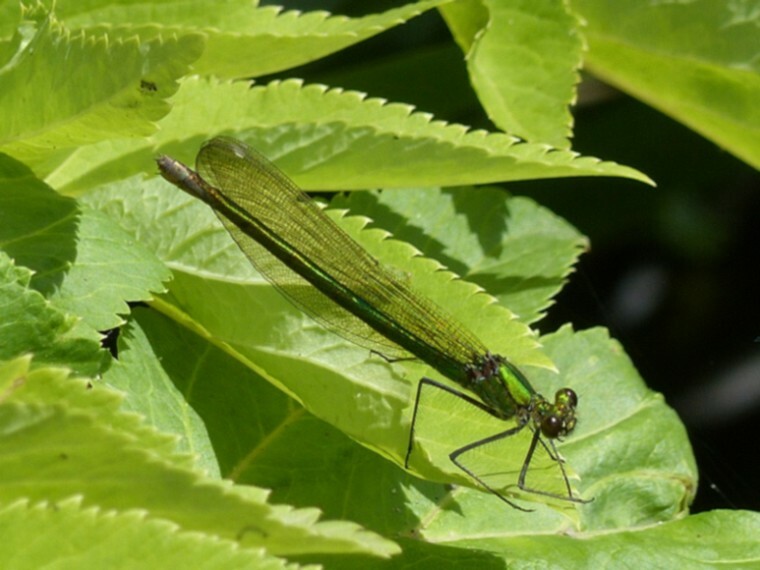 Photo of a female Banded Demoiselle. This morning’s drizzle brought 8 Black-tailed Godwits down onto the No.3 bed scrape. They eventually flew off to the west later in the morning. Otherwise, an adult Black-necked Grebe was feeding a single young from a late brood and a young Water Rail continued to show well from the Tower Hide. Unusually, one of three juvenile Lesser Black-backed Gulls which arrived spent a considerable amount of time trying unsuccessfully to catch a Sand Martin in flight, looking rather like a big, clumsy skua. 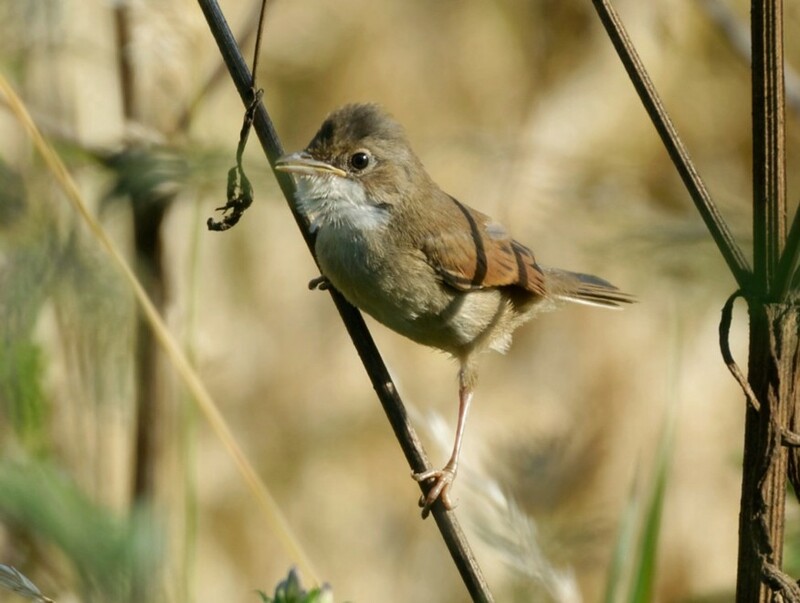 Common Whitethroat (Sylvia Communis) from the John Morgan Hide. 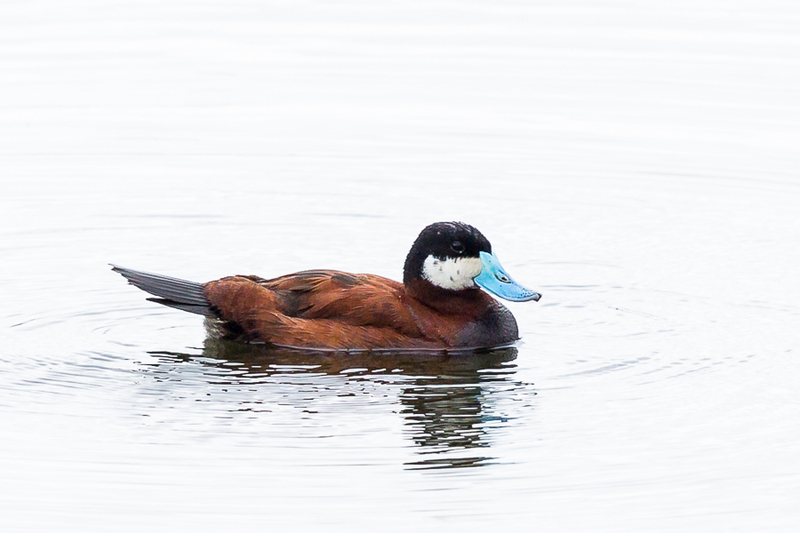 Ruddy Duck - (Oxyura jamaicensis) from the south pool viewing platform. 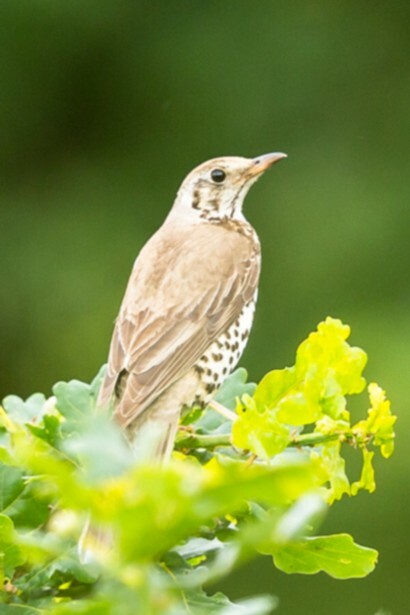 Mistle Thrush (Turdus viscivorus) from south bank. 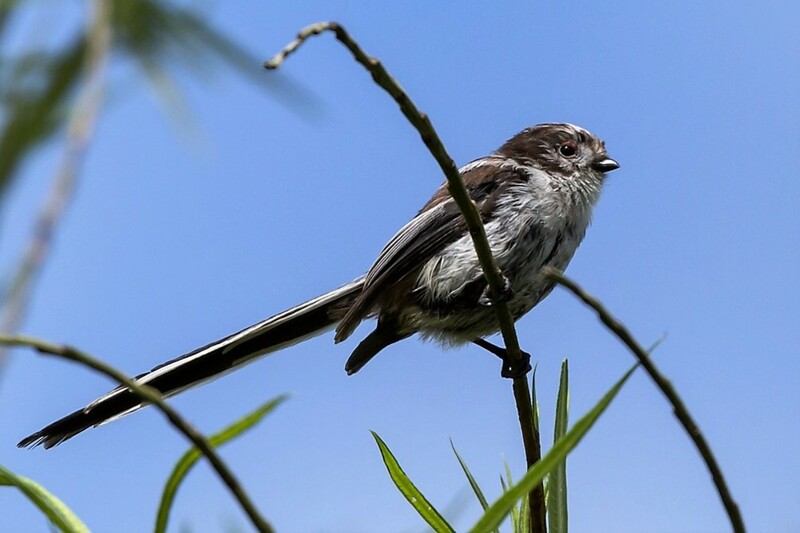 Despite the sticky heat on No.3 bed this morning, there were still some nice birds to be found. 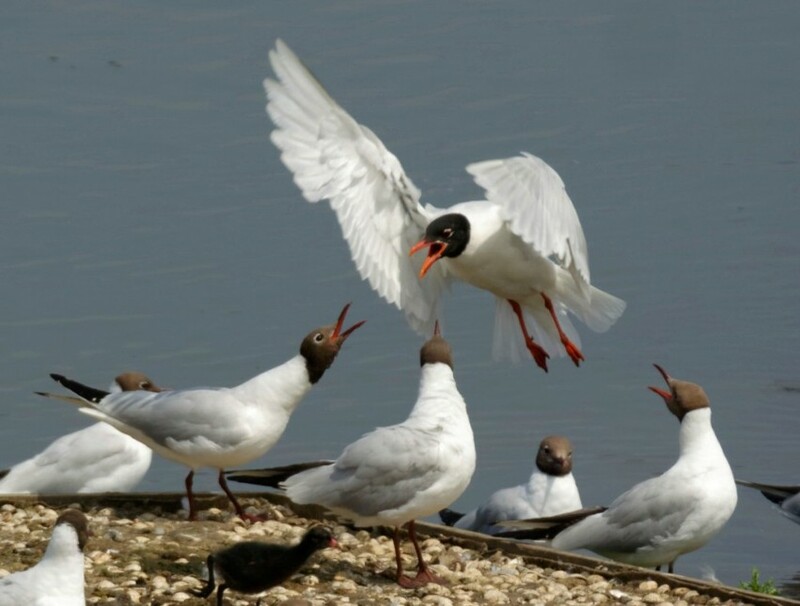 Although yesterday’s Little Egret had moved on, a Mediterranean Gull on the Morgan Hide scrape, Redshank and Little Ringed Plover from the Tower Hide and Hobby and two Ravens over-head were good to see. In addition, another young Cetti’s Warbler was ringed on the bed, the second of the year. 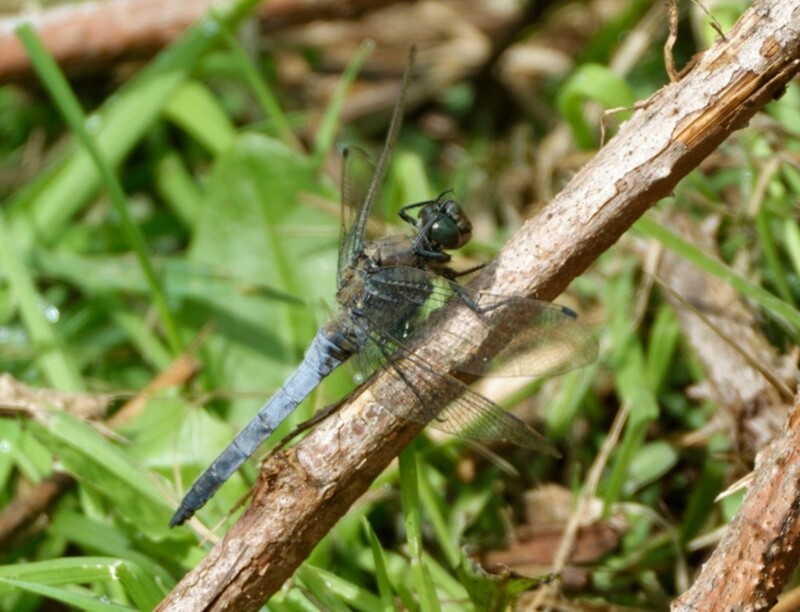 Dragonflies were also active, with 5 Brown Hawkers noted. 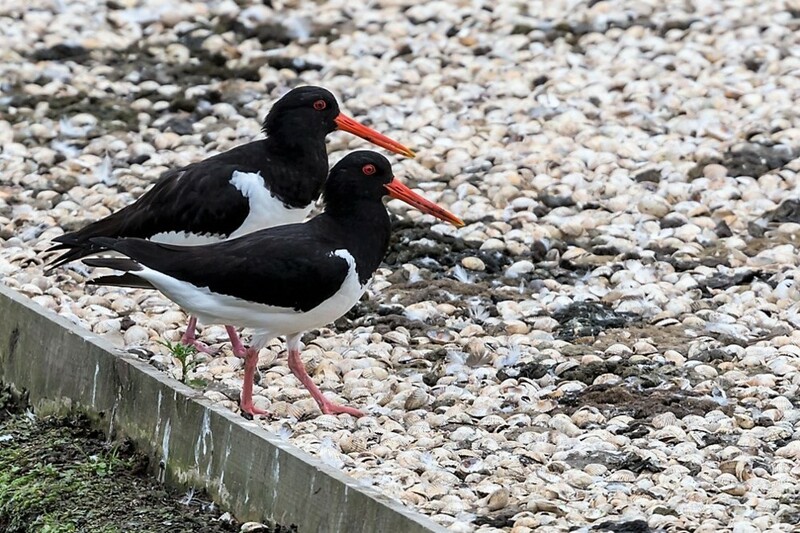 I promised to take a photo of these Oystercatchers for Bert and John; nice to see you both this morning ! There were over 300 Gadwall and 100 Coots on no.3 bed this evening. I was pleasantly surprised to find 2 Purple Hairstreaks in the oak trees directly over the gate at the entrance to No.3 bed just before 7p.m. 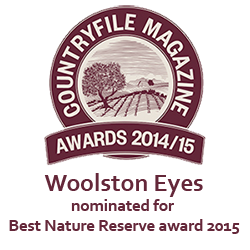 This was especially welcome as there were no sightings of this elusive butterfly in 2016. 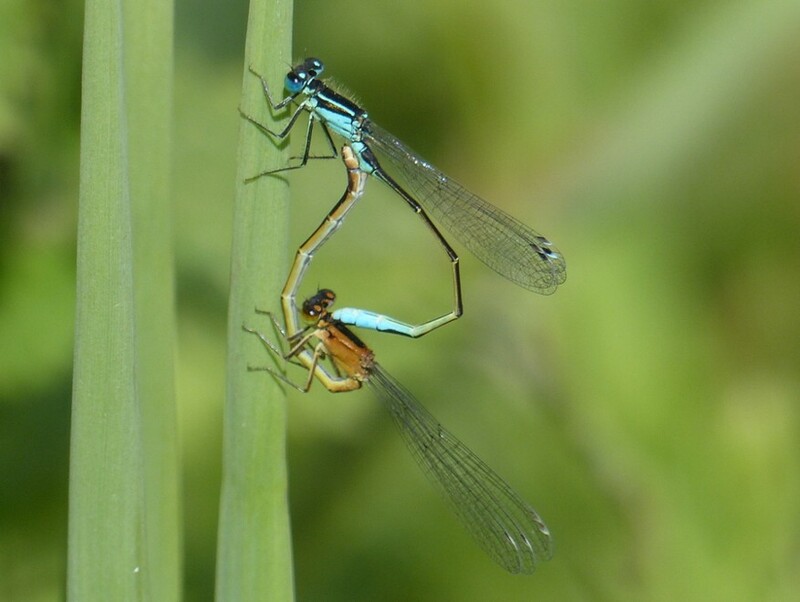 Photo of a pair of Blue-tailed Damselflies present on No.1 bed yesterday. 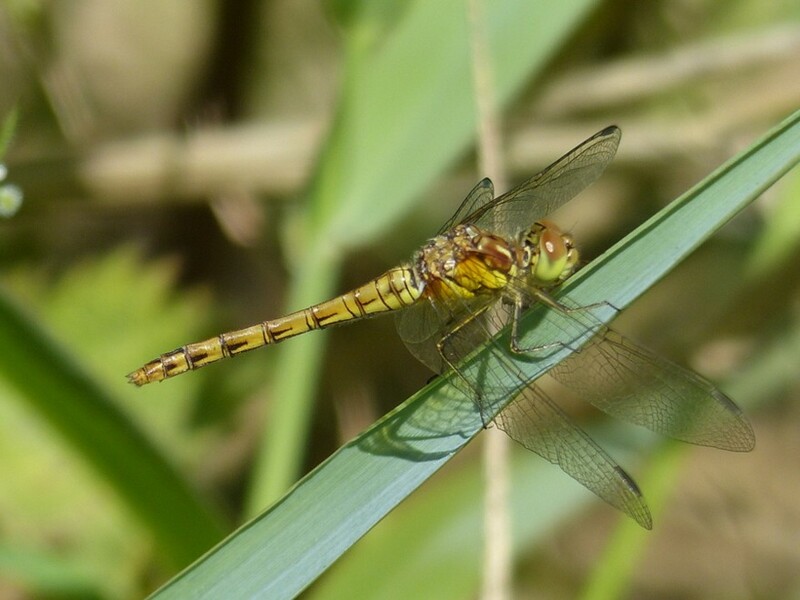 At the New Pool on No.1 bed yesterday I found Four-spotted Chaser,Brown Hawker, Emperor Dragonfly,Common Darter,Azure,Common Blue and Blue-tailed Damselflies. Photo of a female Common Darter found on No.1 bed yesterday. After a cloudy start the sun broke through and pleasantly warm bringing many butterflies and Dragonflies on the wing.On No.3 bed the three new Black necked Grebe broods were seen all of single young being fed by adults. Also 2 full grown adults seen-a total of 6 adults and 5 young. Two broods of Great crested Grebe and a third pair from Tower hide. Two broods Of Little grebe both of two young. A Little Egret flew on to bed from the south but did not stay.Mute Swan pair with 5 growing young and in north east corner a brood of 4 well grown Gadwall. A total of 91 juvenile Black headed Gull young. 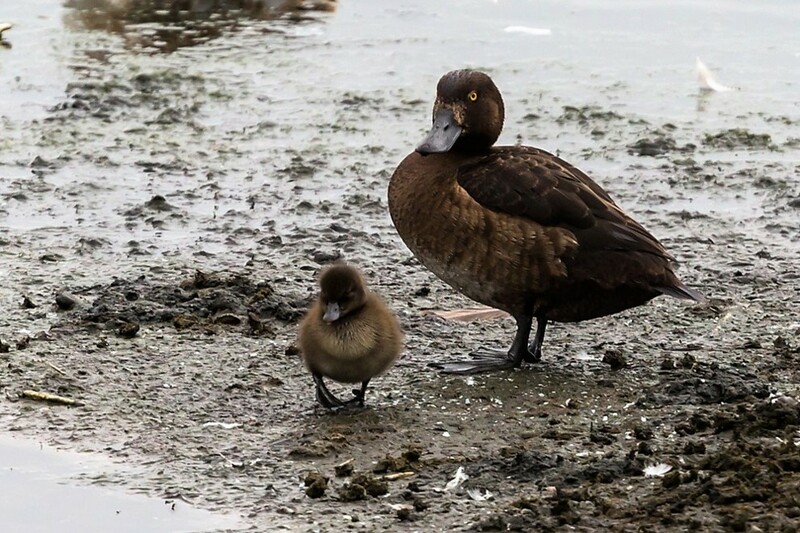 At least 8 broods of Tufted Duck including a new one of 8 tiny young. A good day for butterflies with 8 Red Admirals along south bank and track to north east monitoring hide. On same area also 5 Commas,and 4 Speckled Woods.Along south bank 4 Brown Hawkers hunting.